A bad day at the office for the Bears on Sunday, who were very flat in their defeat at home to Doncaster. But, fear not, we’re still here to bring you analysis and reactions - including those from head coach Tom Tsang. We’ve also got more of your Ask Mr C questions, we look ahead to this weekend’s long trip up to Workington and we chat about the potential of Coventry hosting some Rugby League World Cup action in 2021. We live at covbearspodcast.com we’re @covbearspodcast on Twitter and we’re sponsored by the Bears Vice Presidents and by Yorks Tim. 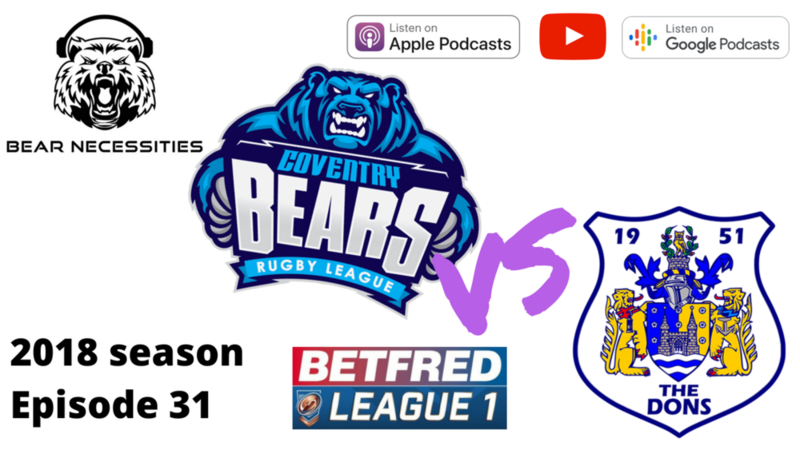 This is the world’s greatest podcast about the Coventry Bears. This is Bear Necessities.